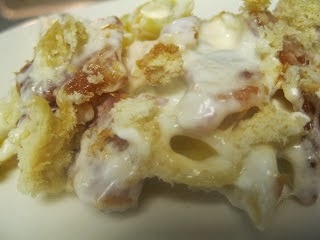 Originally this was a Chicken Cordon Bleu Pasta recipe that I found at www.chef-in-training.com. 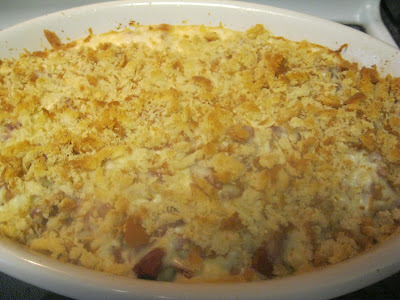 I have tweeked it to become one of my go-to recipes for left over turkey and ham after a holiday meal. It calls for simple, rich ingredients, and it makes a great dish to take to a pot-luck for sure! In large Pot or mixing bowl, mix sauce, pasta, turkey, bacon, and ham.